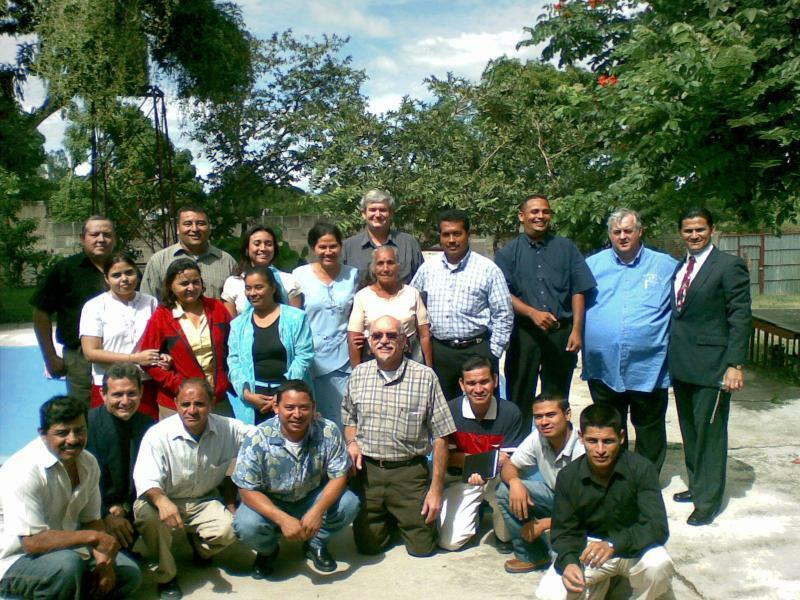 Salem Full Gospel sponsored a mission trip to Central America in November of 2008, sending Pastor Bill Stack to Nicaragua and Guatemala for 1 week, who travelled with Bro John Sokolis, Bro Vaughn Newman, and Bro Larry Brickman. They conducted leadership training, ministered prophetically and apostolically to the ministers there, and conducted services 2-3 times per day. They also ministered to some gang members and others while visiting a Central American prison, in coordination with church and governmental authorities. 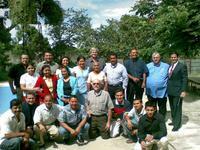 The attached picture is of some of the church leaders ministered to while in Nicaragua. The man on the right in the suit is the leader of the Bible Training Center there. Bro Bill is taking the picture.